In October 2018, the National Native Title Tribunal (NNTT) registered all six Indigenous Land Use Agreements (ILUAs) for the South West Native Title Settlement. Since that time, applications have been made to the Federal Court for judicial review of the NNTT’s decision to register the ILUAs. SWALSC welcomes all Noongar people to attend the Town Information Sessions to receive an information update and ask questions on the path ahead. The meetings are not Claim Group meetings, so you can attend the meeting that is closest to where you live. 10:00am-12:00noon, Sat 16 Feb 2019, Moore Performing Arts Centre, 30 Padbury St, Moora. A SWALSC update about the registration of the six ILUAs. A legal update about the judicial review process for the NNTT’s registration of the six ILUAs. A discussion about the timeline for implementing the South West Native Title Settlement. An update about the nomination process for the Pre-incorporation Directors. Discussion about the draft Cultural Advice Policy. A general question and answer session. For more information, please contact SWALSC on: 08 9358 7400. SWALSC is holding sixteen Elders workshops for further discussion and development of the Cultural Advice Policy and supporting Documents. 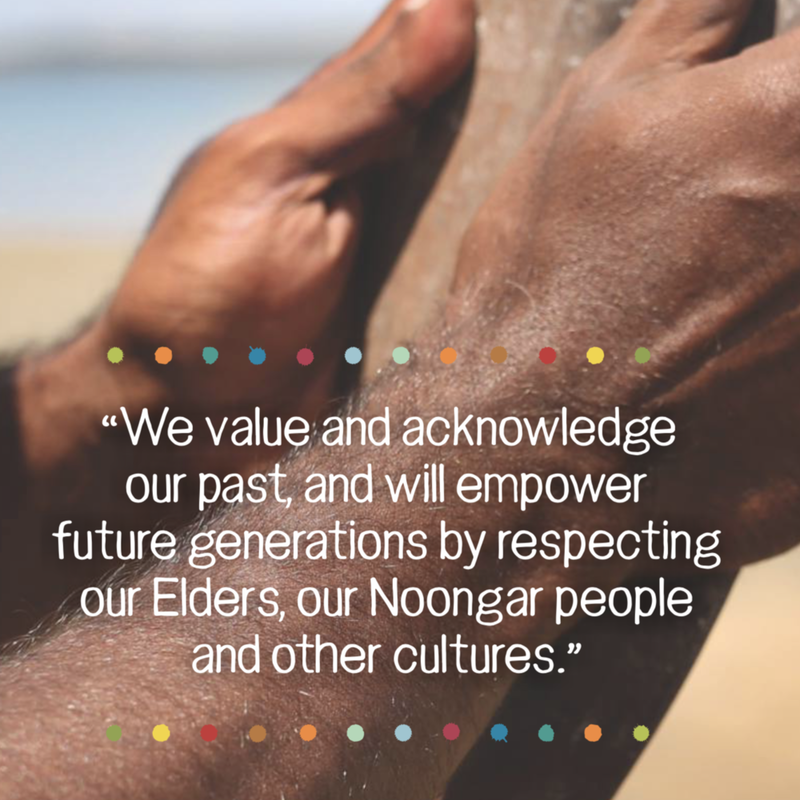 The Cultural Advice Policy aims to renew and Preserve Noongar culture, values, land and custom and provide an avenue for Noongar culture to inform and contribute to the traditional, historical and contemporary cultural and political debate. The workshops are not Claim Group Meetings, so any Noongar person who lives nearby is welcome to attend. 11am-1pm, Tuesday, 20 November 2018, Northam Recreation Centre, 44 Peel St Northam. Other meetings will also be held in SWALSC’s offices in Perth. Please contact Gail Beck or Tahn Donovan on 9358 7400 to confirm your attendance or to get answers to any questions you have, or click on this link for more information. Noongar people are eligible to be involved if they are a descendant of one or more of the Apical Ancestors that were included in either the Native Title Claim Group descriptions (Form 1) or the Native Title Agreement Group descriptions. Wednesday, 19 October 2016, 10am - 4pm, at the Cannington Exhibition Centre, Cnr of Albany Hwy and Station St, Cannington. The six South West Native Title Settlement Indigenous Land Use Agreements (ILUAs) have been authorised by the Native Title Agreement Groups and executed by the representative parties for the Native Title Agreement Groups, by SWALSC and by the State of Western Australia and other government parties. These ILUAs commenced operation on 8 June 2015, however the Settlement will not commence until after registration of the ILUAs by the Native Title Registrar and the resolution of any related court proceedings. Click here for more information about the Central Services Corporation. Consultation is underway for proposed amendments to the Security Deed and the Noongar Boodja Trust Deed. Click here for more information and for copies of the all of the formal documentation.